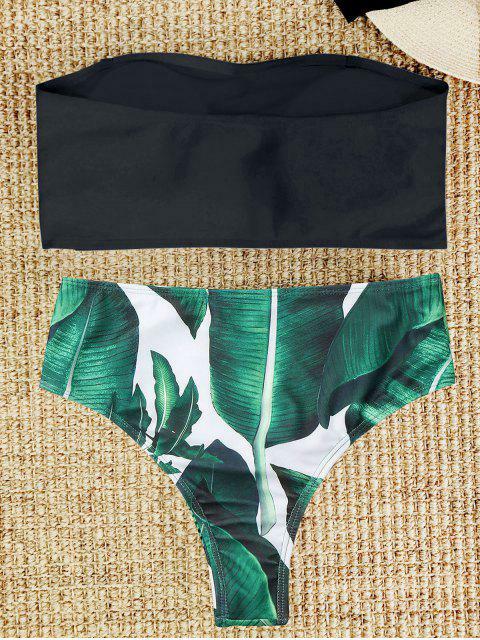 [29% OFF] 2019 Palm Leaf Strapless High Cut Bikini Set In BLACK | ZAFUL ..
a little too tight but still fits really well & no fear of it falling off in the ocean. the straps are removable, but if you wanna wear them, they’re placed in a very odd way, so just be cautious about that. other than that, it’s a super cute bathing suit! High cut element bikini set is essential for your next beach getaway, featuring a bandeau bikini top with strapless design and removable padded, as well as a pair of matching a tropical-inspired palm leaf allover swim bottoms.